Nan A. Talese, 9780385527637, 384pp. It’s Jake’s birthday. He is sitting in a small plane, being flown over the landscape that has been the backdrop to his life – his childhood, his marriage, his work, his passions. Now he is in his mid-sixties, and he isn’t quite the man he used to be. He has lost his wife, his son is in prison, and he is about to lose his past. Jake has Alzheimer’s. As the disease takes hold of him, Jake struggles to hold on to his personal story, to his memories and identity, but they become increasingly elusive and unreliable. What happened to his daughter? Is she alive, or long dead? And why exactly is his son in prison? What went so wrong in his life? There was a cherry tree once, and a yellow dress, but what exactly do they mean? As Jake fights the inevitable dying of the light, the key events of his life keep changing as he tries to grasp them, and what until recently seemed solid fact is melting into surreal dreams or nightmarish imaginings. Is there anything he’ll be able to salvage from the wreckage? Beauty, perhaps, the memory of love, or nothing at all? From the first sentence to the last, The Wilderness holds us in its grip. This is writing of extraordinary power and beauty. Born in Kent, England, in 1975, SAMANTHA HARVEY has an M.A. in philosophy and an M.A., with distinction, from the Bath Spa Creative Writing course in 2005. In addition to writing, she has traveled extensively and taught in Japan and lived in Ireland and New Zealand. She recently co-founded an environmental charity and lives in Bath, England. “Moving through a rich, protean mental landscape, Jake recalls and reinvents his life's themes and passions… Using recurrent, simple images—the flash of a yellow dress, freckled eyelids—Harvey beautifully, patiently ushers Jake forward to the last flicker of recognition; the whole a stunning composition of human fragility and intensity. "A treat for literature lovers who appreciate complexity in their novels and aren't afraid to deal with tough topics." 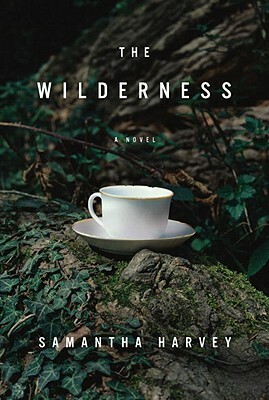 The Wilderness is written entirely from the viewpoint of a man suffering from Alzheimer's Disease. Through his illness, Jake confronts issues around making and losing memories, personal identity, the passing of time and relationships with others. Though this is all seen through the lens of Alzheimer's, to what degree is his experience universal? To what do you think the "wilderness" of the title most refers? At the beginning of The Wilderness we assume that Jake is a reliable narrator, recounting for us the events of his own life. As the novel progresses, we learn that we can't trust his view of things. Do you think this compromises his sense of self? How does this affect your response to him, and to the story you are being told? In what ways do our stories about ourselves need to be true to have a full sense of who we are? Interleaved within the chapters are separate stories that illustrate events in Jake's life. Discuss why you think the author has chosen to develop the story this way. What do you think are the meanings behind each story? In what way do they illustrate the progression of Jake's disease? Through Jake's eyes, his wife Helen is a woman with unswerving loyalty, integrity and religious faith. We know that Jake's judgement cannot always be trusted, and that he uses his wife's piety to inflame his self-guilt. Given this, in what ways do you think his portrait of Helen is the truth of her? Despite everything, do you think Eleanor has or hasn't gotten what she wanted in ending up with Jake? Discuss which you believe has been the most important relationship in Jake's life and why. War provides two of the turning points in Jake's life. Firstly, World War II, after which his mother all but relinquishes her - and his - Jewish ancestry; secondly, the Six Day War, which he feels is instrumental to his daughter's death. When looking back, is it true that our lives tend to be mapped by external, historic events as much as by personal ones? Jake begins his career as an architect in 1960s Britain. Decades later, many of the buildings of that time are condemned or knocked down. How do you think his involvement in that derided period of architectural history affects who he is and how he feels about his life? Jake thinks he has kept his disease successfully hidden from his son Henry. Because the point of view remains with Jake, we never know exactly what Henry knows, when or how he finds out his father has Alzheimer's, and how he feels about it. Do you have your own opinions on these questions around Henry's experience? What do you think happened to Alice? By necessity of Jake's forgetting, many questions are left unanswered at the end of The Wilderness. Do you think the ending is appropriate or were you troubled by not knowing the answers. Discuss whether or not you feel that a novel needs to tie up all its loose ends in order to be a satisfying read.